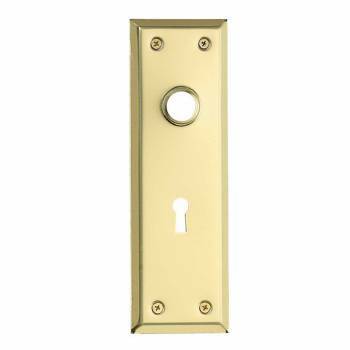 Door Back Plate Bright Solid Brass Stamped w/Keyhole 7 3/4"
Shop majestic doorplates at affordable prices. 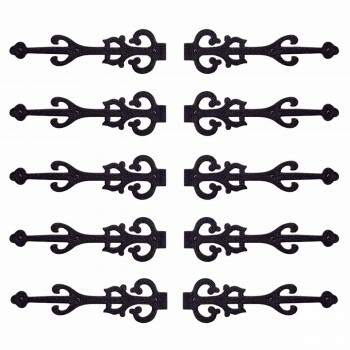 Browse simple to ornate door plates. 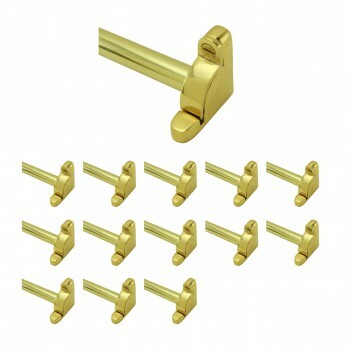 Embellish doors and showcase door hardware with easy to install doorplates. 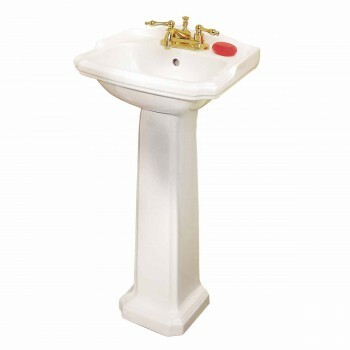 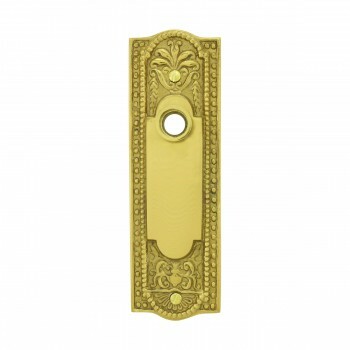 Find brass door plates, antique brass door plates and black door plate finishes. 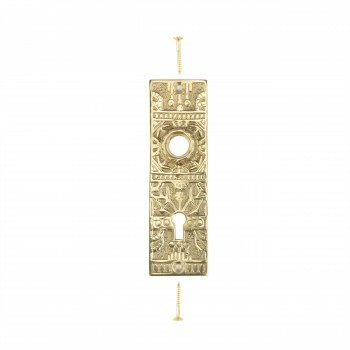 Designed to protect and embellish doors our exquisite door plates are available in a variety of styles and finishes. 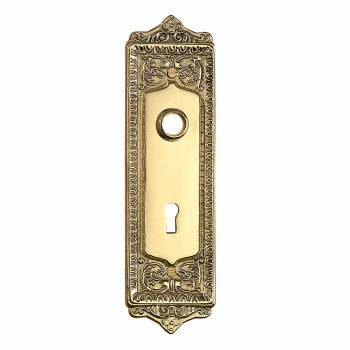 Find brass door plates, black door plates and antique brass door plates. 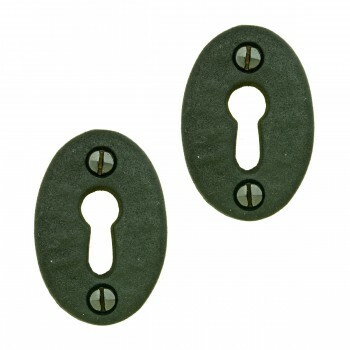 Our door knob plates come with or without a key hole. 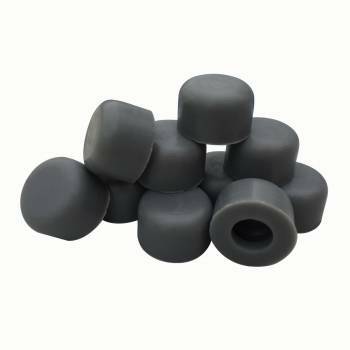 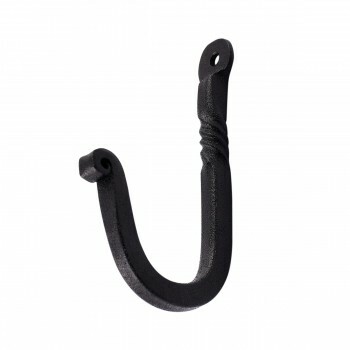 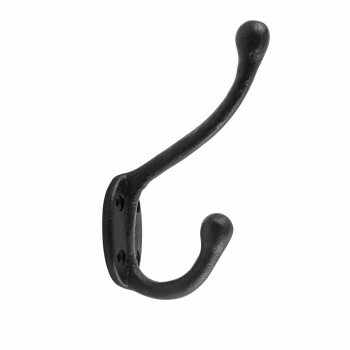 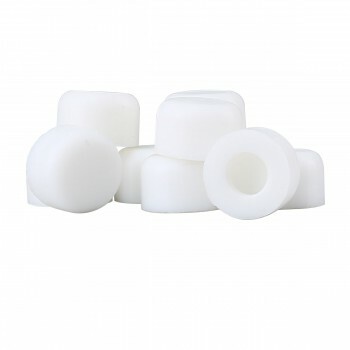 Coordinate your doorplates with our selection of door knobs and door hardware. 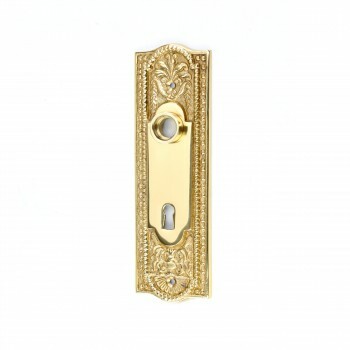 Choose between simple brass door plate designs or more elaborate and ornate door plate styles. 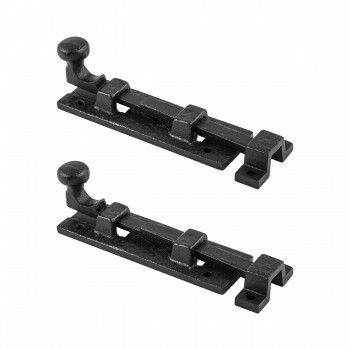 Get FREE shipping on most doorplate web orders over $125. 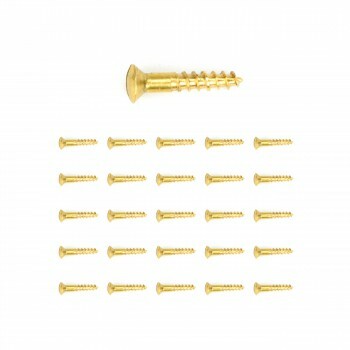 Shop door plates now. 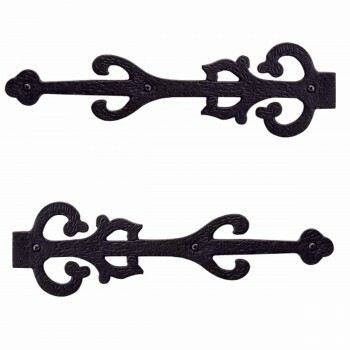 Door plates an essential accent for the well-decorated home. 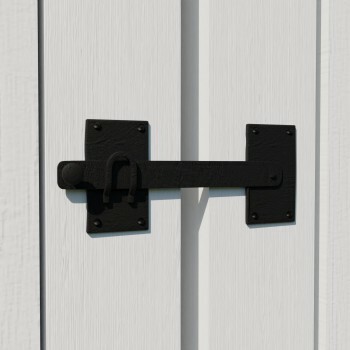 Easily protect doors for years to come with door knob plates available in a wide selection of styles and finishes. 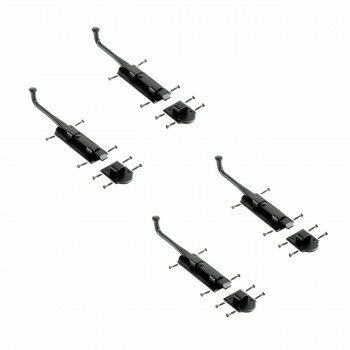 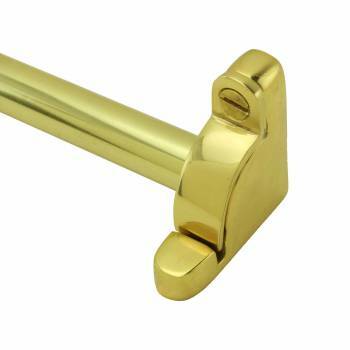 Upgrade door hardware with doorplates and cover up existing nicks and scratches. 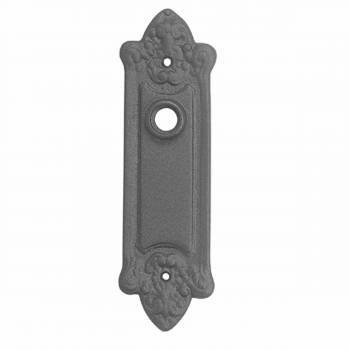 Renovator’s Supply doorplates are intricately crafted in full-relief and feature authentic antique-style design-work. 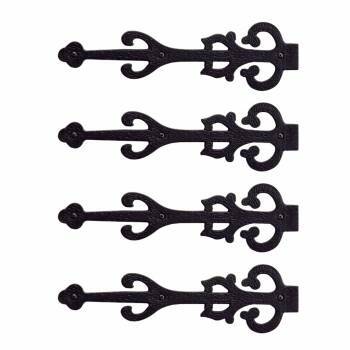 With superior craftsmanship and key scratch protection these door plates prolong the life of every door! 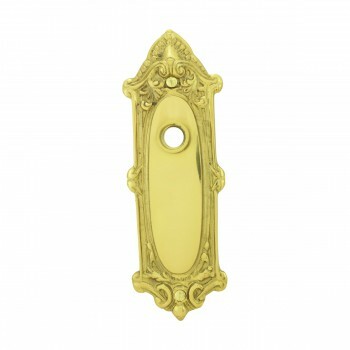 Showcase your door hardware with simple or ornate door knob plates. 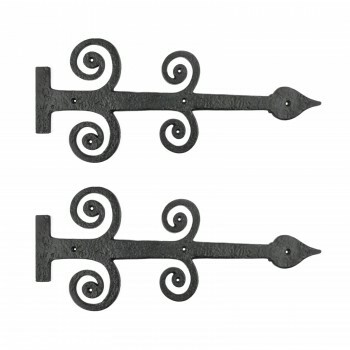 Browse doorplates in a variety of styles and finishes. 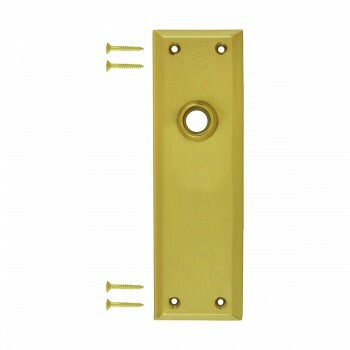 Get brass door plates, antique brass door plates and black door plate finishes. 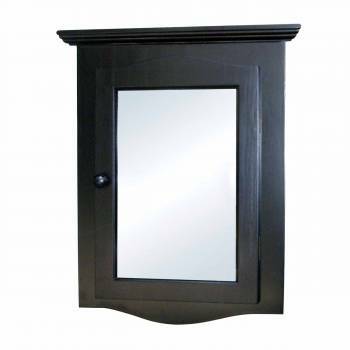 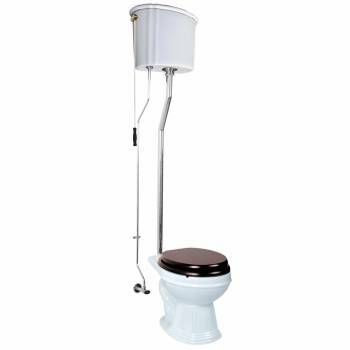 Prevent scratches and nicks or cover up existing ones with door plates. 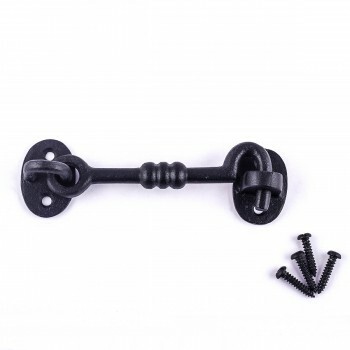 FREE shipping on most doorplate web orders over $125.